Up in the part of Ireland that was my home it is the 12th of July. The Loyal Orange Institution, more commonly known as the Orange Order, a Protestant fraternal organisation based primarily in Northern Ireland. It also has a significant presence in the Scottish Lowlands and lodges throughout the Commonwealth and United States. It is also a day that often in the past has come to represent the huge gulf between two sides of a community. It has also, often, been accompanied by violence sparked by symbolism and history. The history of the Order itself is weird, wonderful, intertwined with sectarian movements on both sides of the “religious divide” and depending on what your opinion is, it is violent, intimidating and intolerant or… pacifistic, culturally significant and historically vital. The truth, as usual in Northern Ireland, is somewhere in between. The Order is portrayed in modern media as being celebrated, embraced and participated in by all of Northern Ireland’s protestants. It isn’t. Just like all other simplifications of the Northern Irish situation the truth is far from black and white, or rather, orange and green. Many protestants I know do not appreciate a bunch of folk walking up and down celebrating the victory of King William III (a foreign King) over King James II (technically for Ireland, also a foreign king) at the Battle of the Boyne in 1690. Some of my protestant friends do appreciate it but not necessarily for the reasons you think. Likewise many of my Catholic friends really appreciate and embrace the Royal Family and all things British. Some of them don’t. I’ll leave you with a couple of paragraphs to highlight the complexity and surrealism of the actual circumstances on our little Island. Some indicators that not only are things complicated but they are actually getting better and above all, our history, Green, Orange and whatever, is closely and ironically intertwined. Tomorrow, as the Orange marches set off (not on the actual 12th this year as the 12th falls on the Sabbath) there will be a Lord Mayor resident in both Belfast and Dublin. For the first ’12th of July’ in history each of the positions is now held by a Sinn Féin councillor. In case you don’t know, Sinn Féin are the ‘traditional republican’ party of Ireland and again according to the media and popular perception, very much “against the Orange tradition” – except of course they were the ones who promoted the Irish flag as being Green and Orange for both traditions. The white in the middle was for a meaningful and lasting peace. But that’s a different story. The Lord Mayor of Dublin, Críona Ní Dhálaigh, yesterday attended (and rightly so) a Royal British Legion’s war commemoration. It took place at the Irish National War Memorial Gardens at Islandbridge. She was joined by her Sinn Féin colleagues, Lord Mayor of Belfast Arder Carson and Speaker of the Northern Ireland Assembly Mitchel McLaughlin. She laid a wreath in tribute to the dead of Word War One and World War Two. A large number of the southern Irish lads who died in World War One had originally been members of the Irish Volunteers, a movement closely aligned to the Sinn Féin traditions. A large number weren’t. The Mayor laid a wreath for all, regardless of their backgrounds. The Lord Mayor of Belfast, attending in his official capacity, wore the Mayor’s chain of office. This chain was presented to Belfast City in 1874 and for the vast majority of its history has been worn by those from the Unionist, (Orange) tradition. Proudly British, proudly Northern Irish after 1922, mostly rejecting the rest of Ireland. Yet the chain is made up of medallions that display the Belfast coat of arms and is surrounded by symbols representing the four provinces of Ireland – a hand representing Ulster, a round tower for Munster, a harp for Leinster and a wolfhound for Connaught. 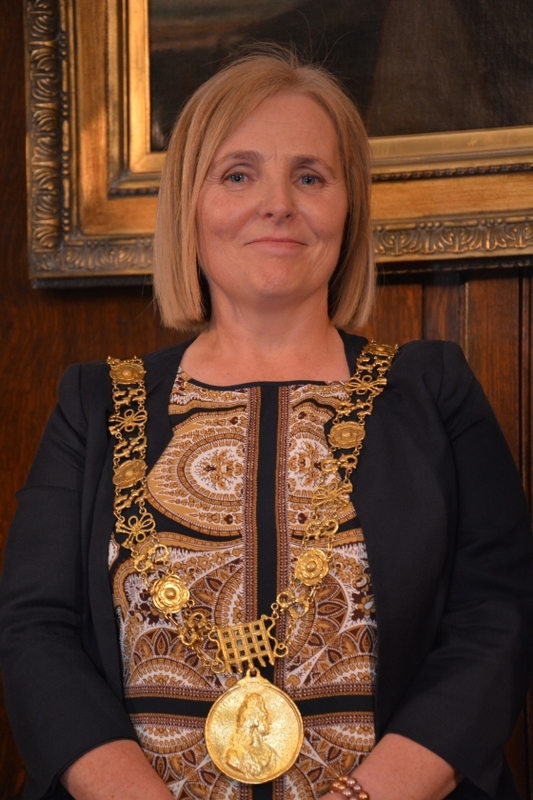 The Lord Mayor of Dublin, also attending the ceremony in her official capacity, wore the Lord Mayor of Dublin’s chain. It’s quite fancy, has decorative links including the Tudor rose, a harp, a trefoil shaped knot and the letter S all wrought in gold. It was presented to the city by King William III in 1698. Eight years after his victory at the Battle of the Boyne. It’s a funny old world. Have a happy and peaceful ’12th’ wherever or “whatever” you are. 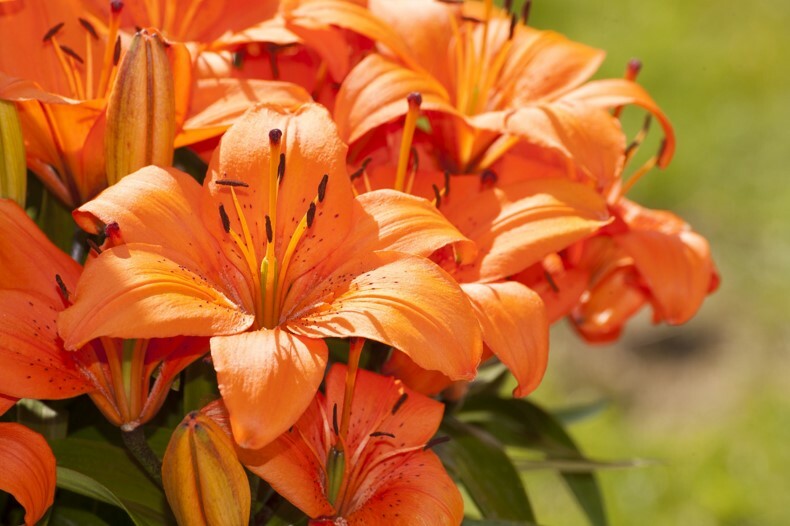 (Orange Order March © RTE.ie, Lord Mayor of Dublin © Dublincity.ie, Orange Lilly, Dollar Photo Club used under licence). PreviousAll this “Gay” stuff… I’m over it.